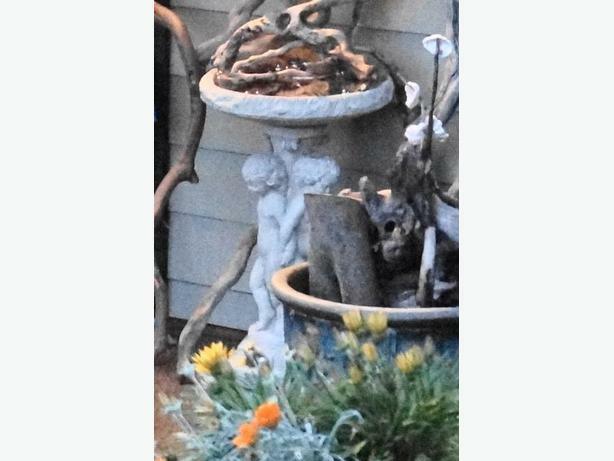 Stone birdbath with round bowl top and two cherubs around side of pedestal as in the photo. This went "missing" from our front porch. Reward offered for its return, no questions asked.